Natalie Spooner has the size, speed and tenacity to be a star. She can score goals and her defensive game is rounding out. The trick for the 27-year-old is to find the consistency that will make her a star. 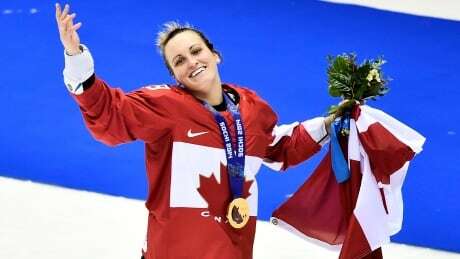 When it was suggested to her that she is already a lock to be inducted into the Hockey Hall of Fame — having scored the gold medal-winning goal in each of the past two Winter Olympic Games — Marie-Philip Poulin simply smiles. That's because Olympic gold remains her focus. Like many women, Meaghan Mikkelson is trying to balance her career with being a mother. 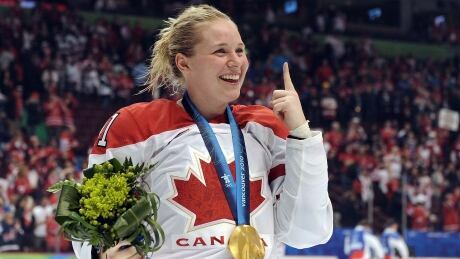 Unlike most, she's trying to win a third Olympic hockey gold medal. Americans are favoured by many to win the gold medal in Pyeongchang and have now won the past three Four Nations Cups as well as the past three world championships. 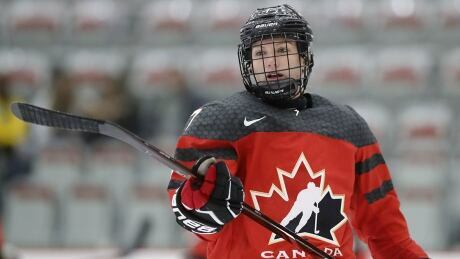 Jocelyne Larocque and Team Canada will face the United States in the gold medal game of the Four Nations Cup in Tampa Bay Sunday afternoon. 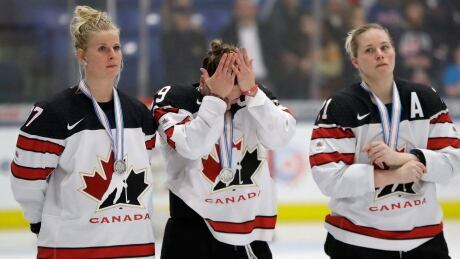 Bailey Bram could barely watch Canada's women play for hockey gold at the 2014 Sochi Olympics, so deep was the hurt at being cut from the team. 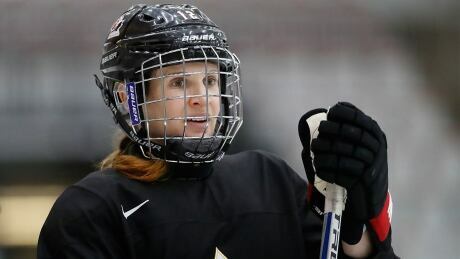 She never met her famous great-grandfather, but Laura Stacey is playing up to the standard King Clancy set during his Hall of Fame hockey career. 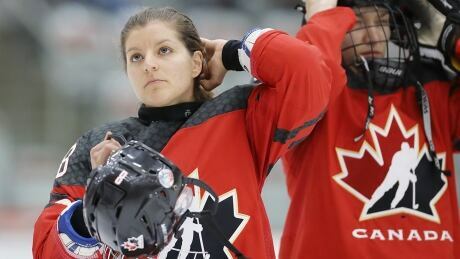 If Canada hopes to beat the very strong team from the United States and win a third consecutive gold medal at the 2018 Winter Olympics, it will need veterans such as Hayley Irwin to be at their very best. 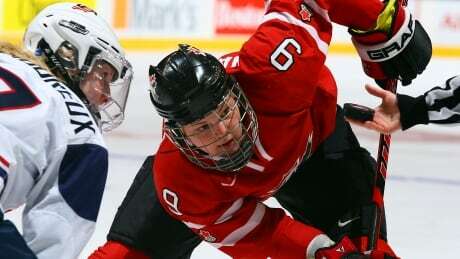 That was evident Wednesday night when Team USA doubled Team Canada 4-2 at the Four Nations Cup. A year ago Jennifer Wakefield would have shared a dressing room with Swedes Emilia Ramboldt and Pernilla Winberg. But on Tuesday afternoon Wakefield fired three goals and an assist in a 9-0 thrashing of Sweden at the 4 Nations Cup. 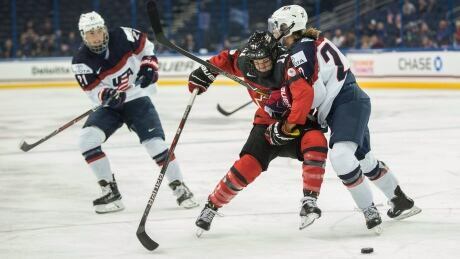 With the Olympics three months away, Canada's women's hockey team will learn more about where it stands against the top competition when it faces off against the U.S., Sweden and Finland at this week's Four Nations Cup in Tampa. You are currently browsing the archives for the Sports/Hockey/NHL/Mike Brophy category.